This entry was posted in Amish, Landscape, Photography, Uncategorized and tagged Amish, cows, Farm, Landscape, Photography. Bookmark the permalink. Donald, There’s another ad on your picture page today. You should be paid for these. I was looking for Waldo…still can’t find him. That is an udderly ridiculous statement. 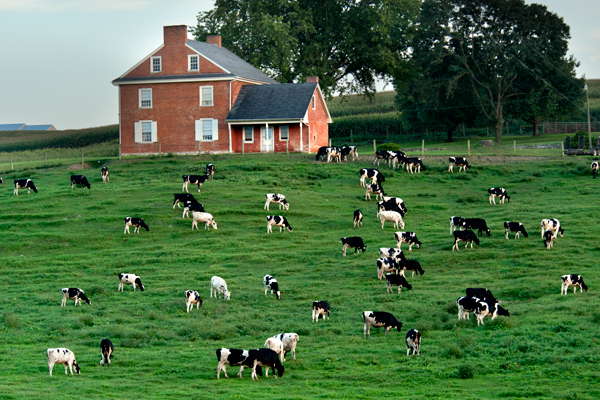 Very nice composition…I love the contrast in colors of the black and white cows on the green meadow. You have an eye for art.By the way,the cows are white,with a touch of black.